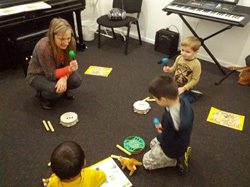 Kinder Beat is an outstanding introduction to music for children aged 2 – 5 years. This award winning program features activities that children of the 21st century need for brain development and acceleration. Focuses on rhythm, beat, iconic reading, phrasing, tuned and un-tuned percussion playing. Develops percussion playing skills to a higher level to include glissandi on xylophones plus ensembles combining tuned and un-tuned percussion. 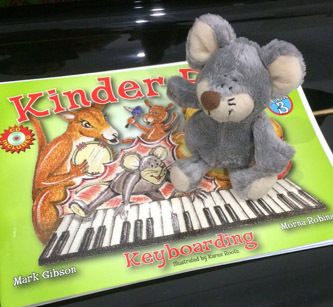 Kinder Beat Piano, introduces piano playing, keyboard games and improvisation activities not seen before in other methods or approaches. All three levels make extensive use of props that facilitate feeling beat, pulse, phrasing and specific rhythmic patterns. Flash cards and worksheets are used to reinforce reading skills. 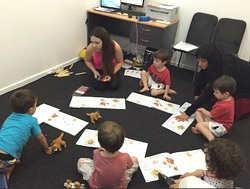 Basics of music theory through the activities such as stories, games, repetitions, using body props and percussion props, flash cards, listening CD, playing piano along with the CD. 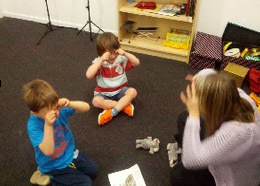 Using "Mouse House" finger position or fists while playing on the piano with the aim to teach kids to keep their fingers round and together, not to spread it out. 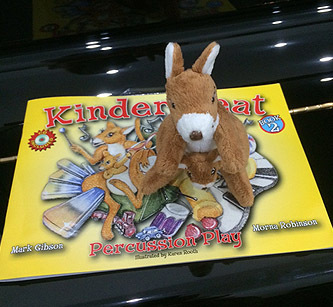 Kinder Beat is an early childhood music program developed by mark Gibson and Morna Robinson. 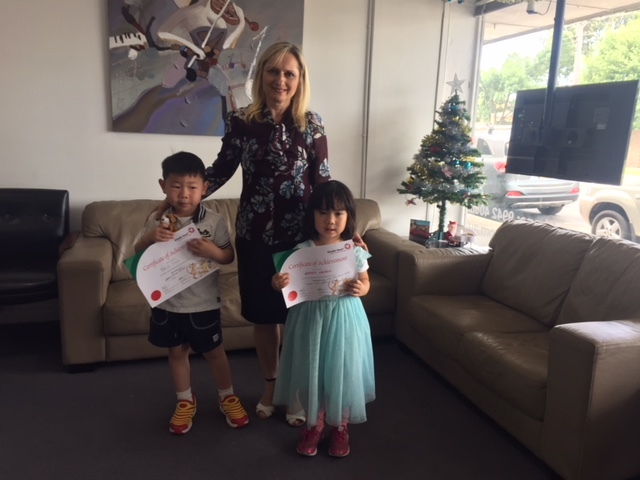 Their collective teaching experience in this area is extensive and their professional partnership encompasses 30 years of teaching and collaboration. 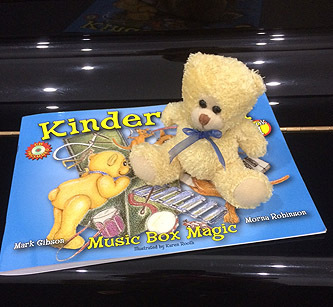 They have been researching and designing early childhood music resources since the early 1990’s and Kinder Beat has developed through several pilot and draft editions. The current edition was lauinched in 2007 and is now enjoying great success throughout Australia and South East asia. This program won the Australian Music Association "Best Australian Made" award for print music or music software in 2010. We are offering a FREE Trial lesson (conditions apply). 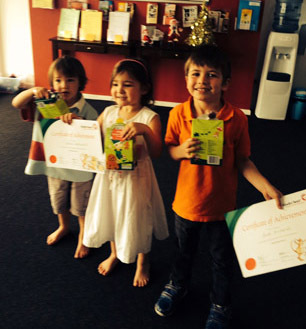 * The first lesson will be free, if the child joining already established group. If there is no a group, the Trial lesson has to be paid on the day of the lesson before you commit to the Term booking. Please fill up the Enquiry Form here and we will get back to you as soon as possible. 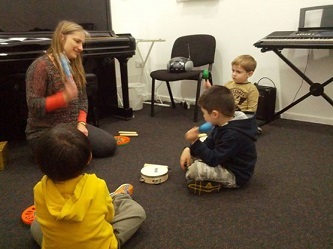 Or call us on 9942 4066 for more information about Kinder Beat Program at Alla’s Music Studio. Alla Guberman, the director and founder of Alla’s Music Studio has been playing the piano for over 25 years. Alla was born in Russia. At the age of 9 she discovered her passion for music and started piano lessons. Alla continued to follow her love for the piano and in 1986 she completed her Diploma at the College of Music in Russia. Alla migrated to Australia in 1992, and in 1999 she furthered her piano studies at Monash University in Melbourne. Under the guidance of Tamara Smolyar (a continuer of traditional Russian piano school) and the team of pianists - Max Cooke, Robert Chamberlain and Darryl Coote (continuers of French piano school), she completed her Bachelor of Music with Honours in 2002. Alla's exceptional performance and demonstrated skill saw her awarded with the 2002 Joan Earle Prize for excellence in Piano Studies at Honours level. In 2005 Alla graduated with a Masters in Music (piano performance) from Monash University. 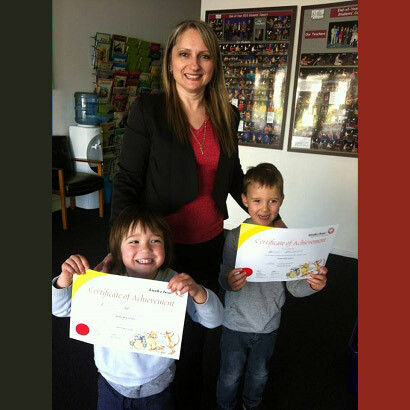 She was awarded a High Distinction for Piano Performance as part of her Master's degree. 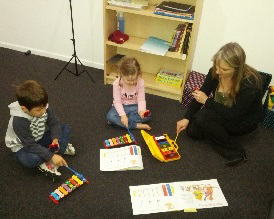 Alla completed Encore on Keys program work shop in 2014 with creator of the program musician from Brisbane Mark Gibson. 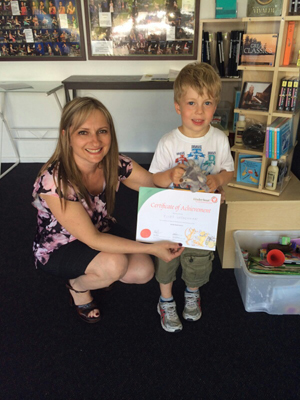 Since then Alla successfully following this program in teaching students preschool age. 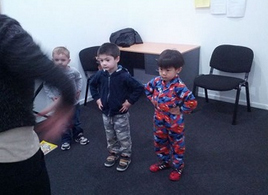 Alla found that this program most appropriate for 4-4,5 years old age children. 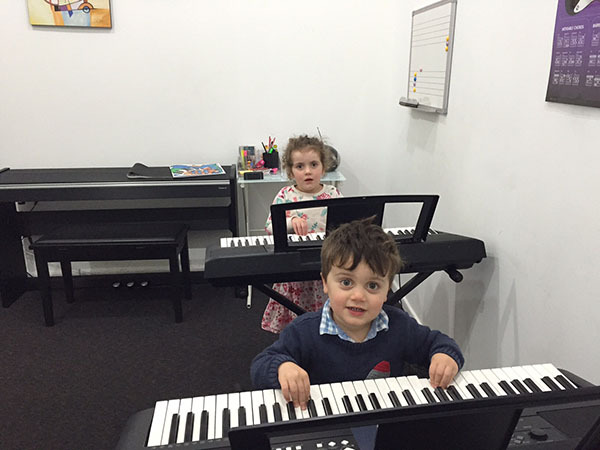 This program helps children to start recognize notes on the musical staff naturally, develops listening and rhythmical skills through playing every song with the backing track. 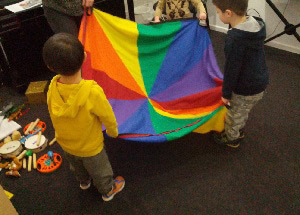 It also develop confidence and does not allow any tension in student’s body while playing, as children playing their songs in standing up position. Below you can watch fragments of Alla’s 3,5 years old and 4 years old students performing songs from Encore on Keys at the End of Year concert. 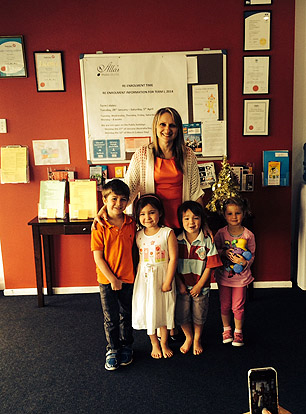 Melissa teaches in Bentleigh studio. Originally from Ballarat, Melissa completed her Certificate III (music, dance and drama teaching) at the Ballarat Centre of Music and the Arts in 2012 before commencing a Bachelor of Dance at Deakin University. She holds a grade 7 AMEB certificate in the discipline of voice and is currently completing her Associate Diploma in Music. Melissa has performance experience ranging from playing piano and singing at soiree’s to performing in musicals and competitions and was lucky enough to be asked to perform the national anthem at the Victorian Total Girl Soccer Tournament in 2012. This experience is reflective in her teaching as she offers a range of styles. Melissa has her own method of teaching drawing from the principals of the Alexander technique aiming to cater specifically to each individual student. Melissa has a love of teaching as she gets to share her passion and watch student’s confidence grow and currently offers voice and beginner piano lessons. 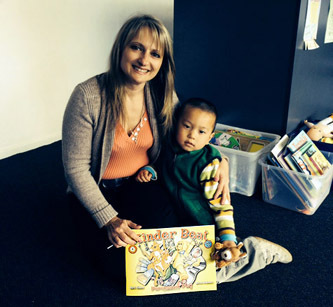 Melissa is teaching as well Kinder Beat program level 1-3.